According to the National Hydrology Meteorology Forecast Center, an extreme heatwave is predicted to break records across the Southern region during this year’s dry season, beginning from April 20. From May to October, the average temperature across the nationwide cities and provinces is warned to be 0.5- 1 degree Celsius higher than the average temperature in several previous years. The average temperature in the Central Highlands and the Southern regions will fall down in August to October, being expected similar to same period of the previous years. 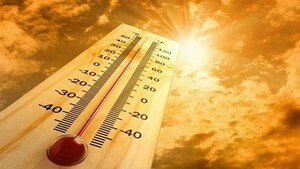 This year’s heatwaves are forecast to begin in the Northern region from May or June while the northern part of the Central and mid- Central regions will see the same weather condition from May to August. The monitoring data showed that this year’s stormy season would hit the East Sea later than previous years. Around 10- 12 typhoons are predicted to enter the East Sea, including around 4-5 storms will directly affect to the mainland of Vietnam. The sunshine causing extreme hot and sticky weather covered the Southeastern region till 5pm yesterday, according to the Southern region's Hydrology Meteorology Forecast Station. 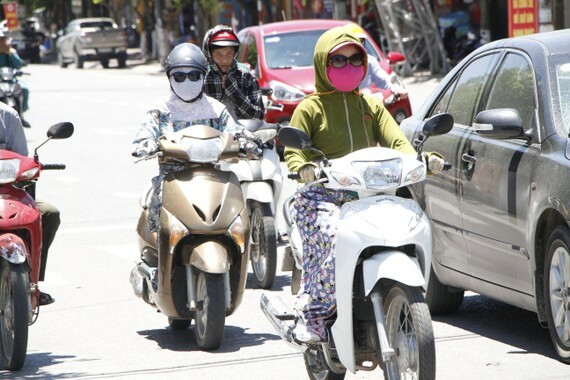 However, the unexpected thunderstorm appeared in some places of Dong Nai, Binh Phuoc, Dak Nong and Da Lat reduced the temperature, making the weather condition more comfortable.